The FY DIY Facebook community has two new resources: Enter the Megadungeon and D100 Secret Door Clues. And here are two free mini-adventures by Stephen Grodzicki on his RPG Mini Adventures & Side Treks patreon - the links are in the description of the patreon. 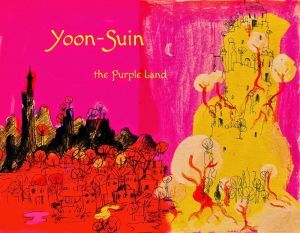 David made a site with resources for his wonderful oriental setting Yoon-Suin. Check it out here. A review of the book is here. Amazon Echo RPG tools available! : it allows your Amazon Echo to roll dice and make random NPC descriptions. Free. The Frugal GM has a blog where he highlights free resources for the Game Master. For example, here is a Guide to Mapping. Greg Gorgonmilk shared this on G+: Lexicon Megatherium - A Catalogue of Fantastickal Beasts. I haven't checked the story-games forum for a while. But perhaps you are also interested in Resources on scene framing?. 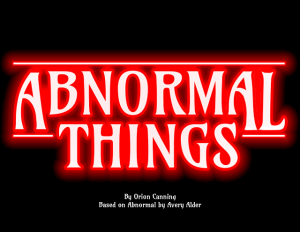 Or maybe a free narrative GM-less game called Abnormal Things? It is for telling stories like Stranger Things. The basic premise is you are all people living in a small town and a creature is abducting people you care about, so you have to work together to try to stop it. It's kind of high stakes in that it's fairly likely that bad things will happen to people in the game. The game is GMless and on the rules light and freeform end of things, but the conflict is pushed along by a solid mechanic that builds up tension as it ramps towards a conclusion. You take turns playing as the horror, doing your best to creep each other out. I've playtested it a bunch and I think it does a really good job of doing the Stranger Things thing. Check it out, it's free. And please share and let me know what you think. Five or So Questions with Robert Bohl on Misspent Youth by Brie Sheldon. This game sounds cool if you're into the whole story-gamey genre spearheaded by Vincent D. Baker, Paul Czege, etc. You can also take a peek at Teylen's Crowdfunding Overview.